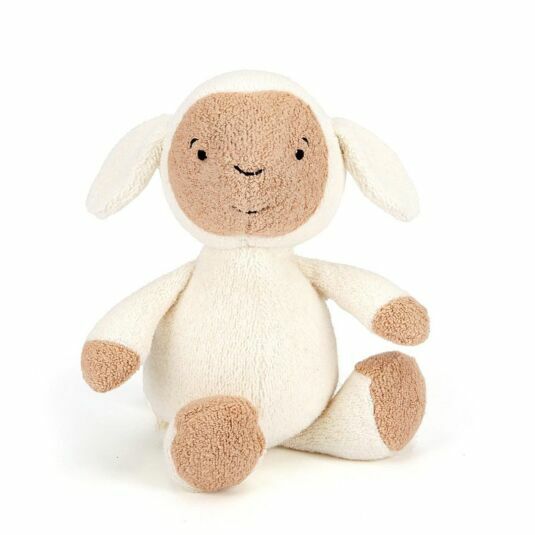 Making the perfect companion for a Baby’s playtime, this soft and fuzzy Rumpus Lamb has a rattly tummy when shaken. Fresh of frolicking in the fresh green meadow, he is very cute, featuring a cream coat with light brown accents on his face and feet. With his floppy ears, dainty tail, beady black eyes and cheeky smile he is perfect for playtime, waiting to be someone’s new favourite companion.